I’m really careful with trench coats. For some reason they look like I borrowed them from a retired detective. I’ve tried on loads and this one from &Otherstories felt the most me. 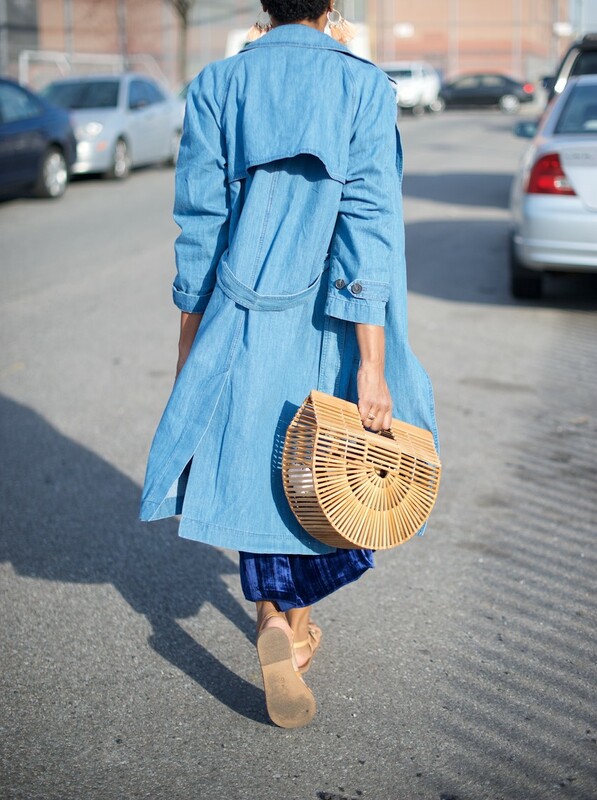 The slouch is enough, the denim is lightweight and the oversized black buttons reads vintage. Maybe it’s the beige color of normal trenches that is throwing me off? 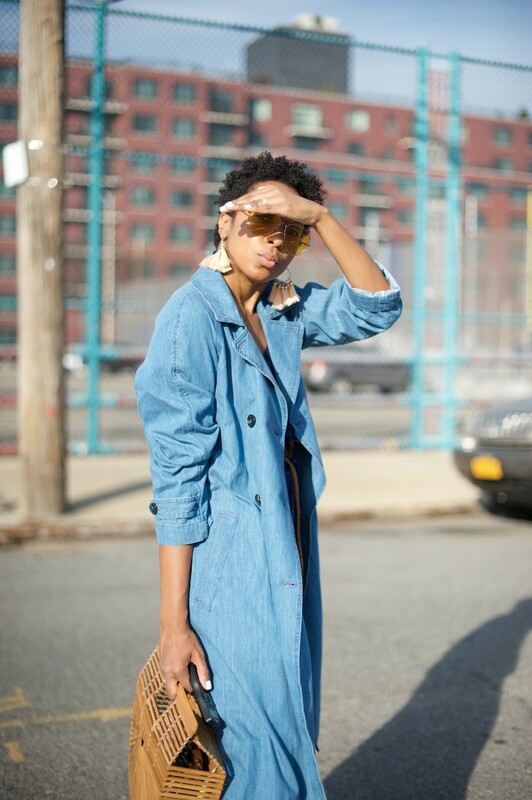 Either way, I’ve linked to more light weight denim trenches below including mine. 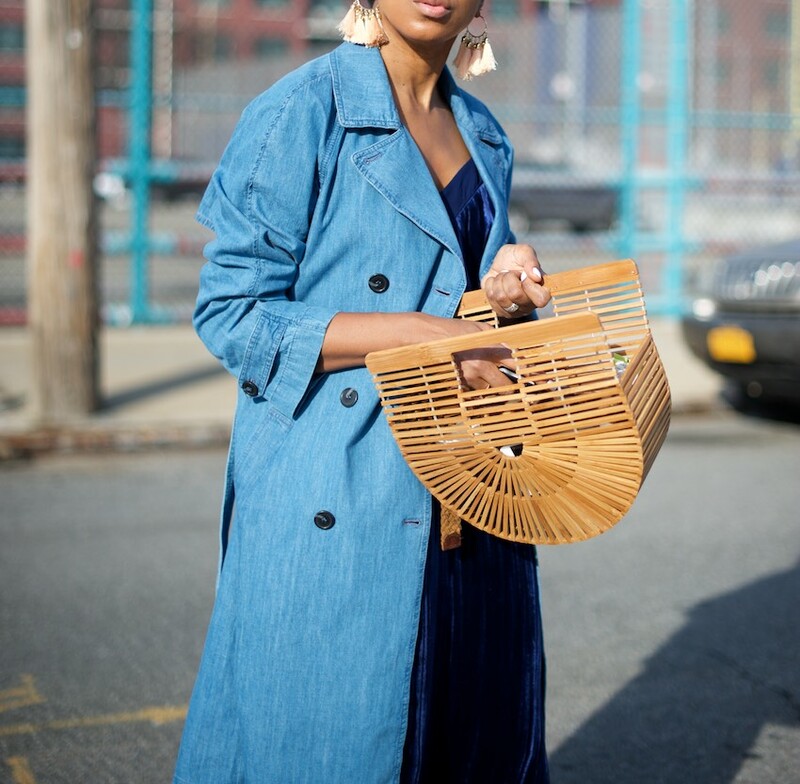 Denim trench coat: &Otherstories. 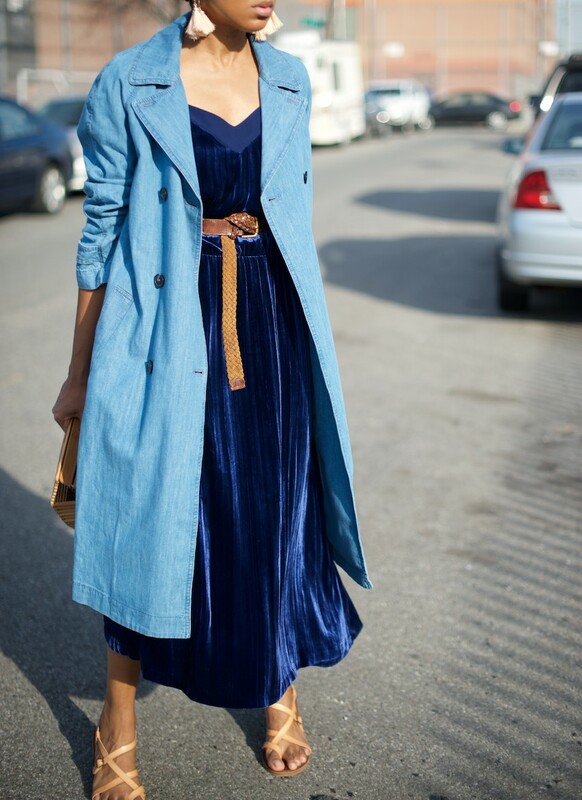 Velvet slip dress:H&M. Sandals: Target. Bag: Cult Gaia (in black). 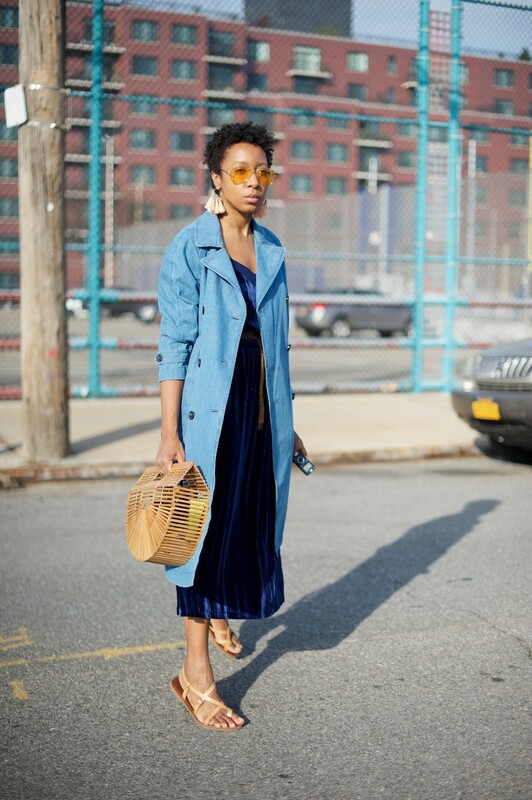 Tinted aviators: Beacons Closet. Found similars from Asos and via Shopbop (having a sale).